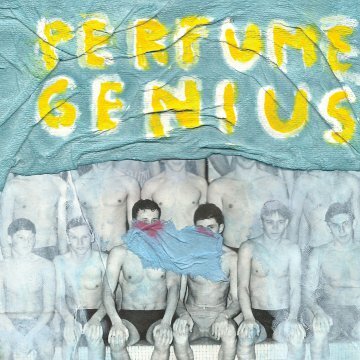 Though Learning, the 2010 debut album from Perfume Genius offered a voyeuristic window into Mike Hadreas’s experiences and resonated intensely with many people, his second album, 2012’s Put Your Back N 2 It is much more universal, addressing intimacy, power, family, secrecy, and hope not just through his impressionistic lyrics, but the music itself, which is as lush as Learning was stark. It’s a gorgeous soundtrack for anyone trying to keep it together in everyday life, and about moving forward. “I don’t want it to seem like I’ve been through more than other people,” Hadreas says. “Everyone has stuff. Staying healthy can be more depressing and confusing than being fucked up. But I want to make music that’s honest and hopeful.” The hypnotic songs on Put Your Back N 2 It are tender and moving, but they are also surreal and grand, recalling at times the universality of lullabies and hymns, faraway folk songs, the dramatic arc of a film score, and the almost spiritual quality suggests a kind of opiated gospel.